Apple has launched the updated version of MacBook Air with latest high speed 2nd generation Intel Core i5 and i7 processor make the new MacBook Air up to 2.5x faster than its predecessor. Thunderbolt technology brings lightning-fast data transfer and more expansion capabilities to New MacBook Air. MacBook is surprisingly slim, yet it features a full-sized keyboard that makes typing faster and comfortable and now it is backlit keyboard that you type in low or no light condition. There are two choice of screen for you, MacBook Air 11.6-inch and 13-inch both are high resolution LED backlit glossy widescreen display with integrated Intel HD Graphics 3000 processor with up to 384MB of DDR3 SDRAM shared with main memory. MacBook has Flash Storage for all memory which is two times faster than the conventional hard disk and also consume less space. Smaller now got faster so you can also take it to the office, to school, to wherever you want because MacBook Air has the battery up to 5-hours (11-inch) and 7-hours (13-inch). 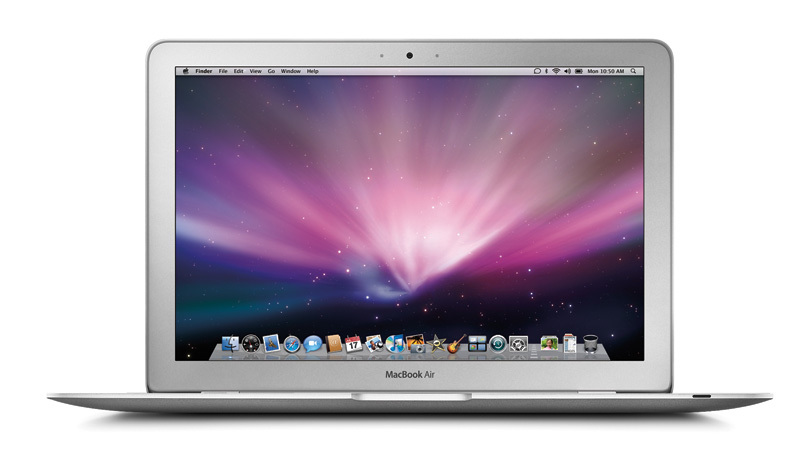 The MacBook Air includes a Multi-Touch track pad with button less design. So you can click anywhere in the track pad. It also lets you pinch, swipe or rotate to adjust and zooming the image. With Face Time camera you can make video call to any Mac, iPhone 4 and the iPod touch 4th generation. The video quality in the MacBook Air for video calling good even in low light condition. New MacBook Air features a wireless connection like Bluetooth 4.0 and Wi-Fi. 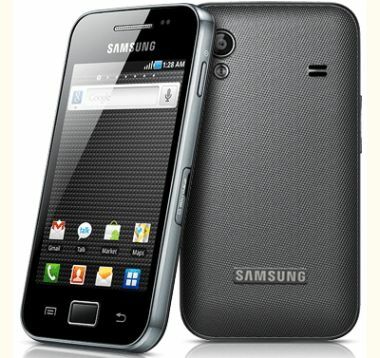 Samsung Galaxy Ace has 3.5-inch TFT capacitive touchscreen (320×480 pixel) with multi-touch support. Gorilla glass display protects your screen from scratch and transmits the touch inputs. With approximately 100,000 apps available on the Android Market, there is no end to what your mobile can do with Android. Galaxy Ace offers a fully integrated social network and integrated one-page contacts from your IM,e-mail,Facebook, etc., in one page. Great Hardware for great performance that all you need for smooth web browsing, download and more. With SWYPE, you can able to type faster. LG Optimus 3D is the world’s first phone with “glass-free” 3D display. It has 4.3-inch 3D capacitive touch screen powered by a 1GHz dual-core processor. It not just playing 3D video and also recording them to. Optimus 3D has two 5MP camera on the rear for stereoscopic recording. You can even see what you’re recording in 3D in real time on the Optimus 3D’s display. Below the display it has four capacitive touch buttons. Compared to the last LG Android Smartphone Optimus 2X the Optimus 3Dlooks and feels much more like a polished premium handset. It is very large though, 12mm thick and weighing a huge 168g. LG include a range of application under the title `3D Space’ to help you to experience the 3D display. This gives a direct access to YouTube 3D, 3D Games, 3D Guide and 3D camera mode all from a single click of 3D hardware key on the right-bottom of the phone. LG Optimus 2X is the world’s first dual-core NVIDIA Tegra 2 processor phone. The Dual- core 1GHz ARM Cortex-A9 processor running at its core and its performance is snappy. If you expect lighting fast responses to your input, this full fill your dream. The Optimus 2X also comes in handy for playing HD games or HD videos and the video player comes with DivX/XviD support. There are more games optimized for Tegra 2 processor available Android Market. It has a 4.0-inch IPS LCD display that makes the viewing experience a delight, the display used in this same as iPhone 4. As far as interface goes, built-in accelerometer, gyro-touch sensitive controls and multi-touch support makes phone’s usability easy. The 8.0-megapixel camera along with LED flash offers a decent picture quality and able to record 1080p full HD video recording. There are lots of performances enhancing features in the camera like face detection, smile shot, and beauty shot and geo-tagging. Front facing 1.3 MP camera for video call. 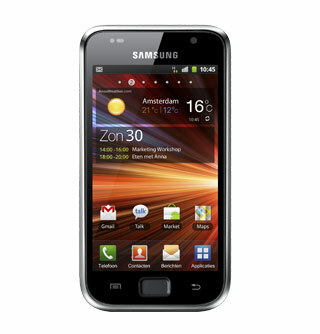 Samsung is working on new Android Smartphone called Samsung Galaxy S I19001 plus. 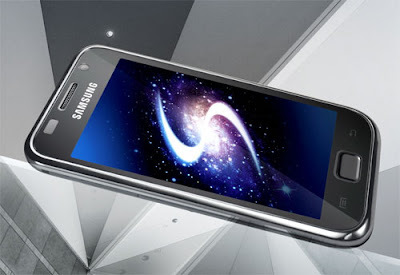 It’s a Galaxy S facelift with just enough of speed boost, improved TouchWiz UI, with metal back panel and comes pre-loaded with latest Android 2.3.3 OS makes it 2011 ready Smartphone. It packs 1.4GHz single-core processor along with the same WVGA 4-inches Super AMOLED capacitive touch screen and an 5-megapixels with HD video recorder. The super AMOLED display is brighter, clearer, less reflecting and accurate best ever viewing quality in mobile phone.